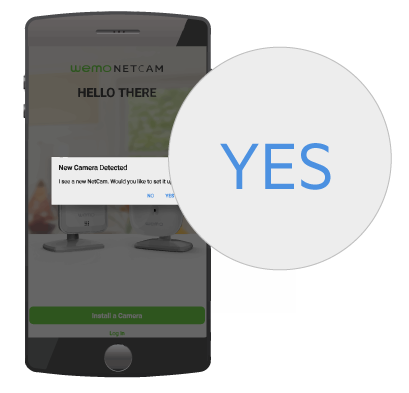 This article will help you set up your Wemo® NetCam using an Android™ device. 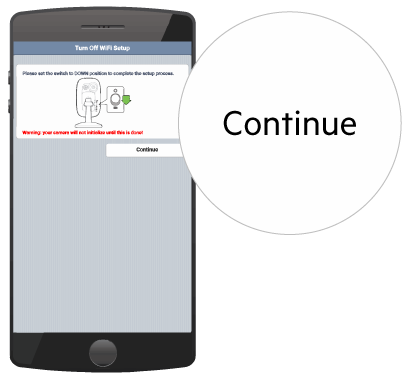 Before you start, make sure you have installed the latest app and firmware for your NetCam. 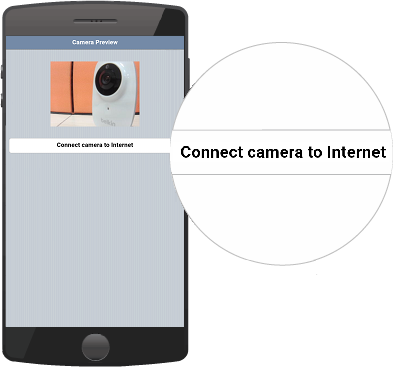 Step 1: On your Android device, install the NetCam app from Google Play™. Step 2: Plug in the camera to a power outlet. QUICK TIP: To avoid interference, don't place your device close to your router. You can also change the channel of your Wi-Fi on your router to reduce intermittent connection. To learn how to do this on your Belkin router, click here. Step 3: On the back of the NetCam, flip the switch up to Setup mode. Step 4: On your Android device, go to Settings > Wi-Fi and connect to the NetCam's Wi-Fi in the form of NetCamHDXXXX or NetCamXXXX (the characters at the end vary per device). QUICK TIP: Some Android versions have an option enabled called Smart Network Switch or sometimes called Mobile Network Switch and Auto-switch to mobile network. This option allows your Android device to switch between saved Wi-Fi and data connections on its own. With this option enabled, your smart device may switch back to your saved Wi-Fi or data connections while you are performing the setup on your Wemo, causing the setup to fail. Before setting up your Wemo, it is recommended that you disable this feature. For more information, click here. NOTE: Your NetCam's actual Wi-Fi name is indicated at the back of your device. 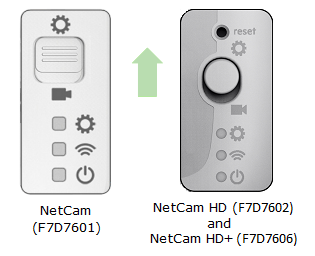 In this example, NetCamHD770C is used. 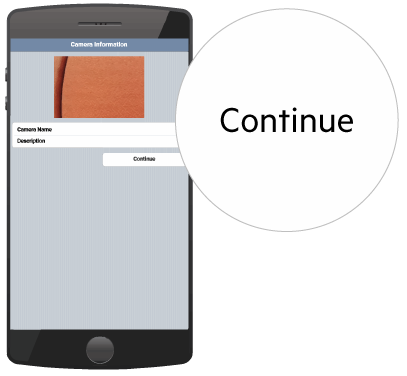 Step 5: Once your device is connected to the camera's Wi-Fi, launch the NetCam app, then tap YES when you're prompted to set up the camera. Step 6: The NetCam app will display a Camera Preview. Tap Connect camera to Internet. 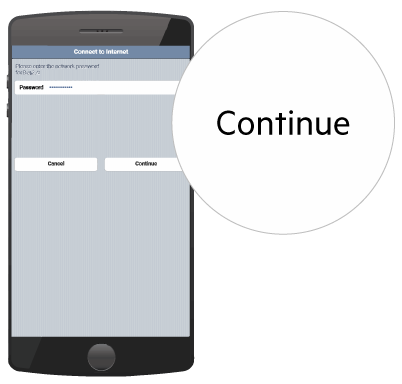 Step 7: Select your Wi-Fi, enter your Password when prompted, then tap Continue. Give the camera a few moments to establish a connection. 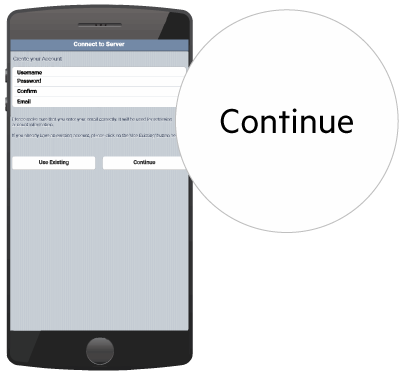 Step 8: Follow the on-screen instructions to create an account and tap Continue when done. NOTE: Once set, your Username cannot be changed. If you wish to use a new username you have to create a new account. Take note of your Username and Password. You'll need them to access your camera through a web browser. Step 9: Enter a Camera Name and Description, then tap Continue. The camera may take a few moments to register with the server. Step 10: At the back of your camera, set the switch to DOWN position, then tap Continue. You've now successfully set up your NetCam. Log in with the account you just created. QUICK TIP: Your Android device will automatically switch from the NetCam's Wi-Fi to your Wi-Fi after the last step. 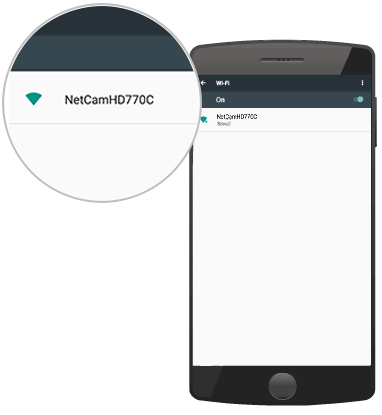 If it did not, you may manually connect to your Wi-Fi on your device's Settings, then open the NetCam app again.